Officials with the Metro Nashville Sports Authority said the Nissan Stadium will get a completely new installment of seats. They come at a price of $15 million, which will also pay for repairing concrete expansion joints inside the 16-year-old facility. On Wednesday, the sports authority gave the project the green light by voting unanimously to issue the bonds for the renovations. 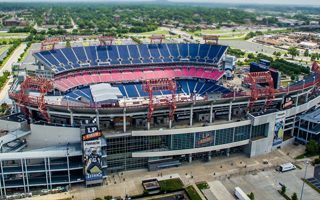 The project is to be paid off by a dedicated $1 portion of a $3 ticket tax that each fan pays to attend events at Nissan Stadium as well as revenue that Metro collects from concession sales at the annual CMA Music Festival, which is held at Nissan Stadium.